A factory next to a second-hand car dealer, near the biggest mall of New Zealand, houses the future of Kiwi space exploration, according to a recent report. The gleaming new plant of Rocket Lab is where three Electron launch vehicles, more commonly known as rockets, are being constructed on the factory floor. An Electron that is 17 metres tall can launch a small satellite into low earth orbit for NZ$ 8.7 million, which is considered to be a bargain basement price in aerospace terms. It had a successful test launch last January and would experience its first commercial launch in the coming month, after several delays caused by minor technical glitches as well as the weather. Also found in the plant are sub-assembly cells that feature 3D metal printers while a giant Computer Numerical Control (CNC) unit that can mill components the size of a bus will be operational within weeks. The plant is 7,500 square metres, which is four times the size of the Lab’s old assembly plant that was located next to the Auckland Airport. With public relations being an important part of the space industry, the new plant can comfortably accommodate 150 guests to watch a launch. 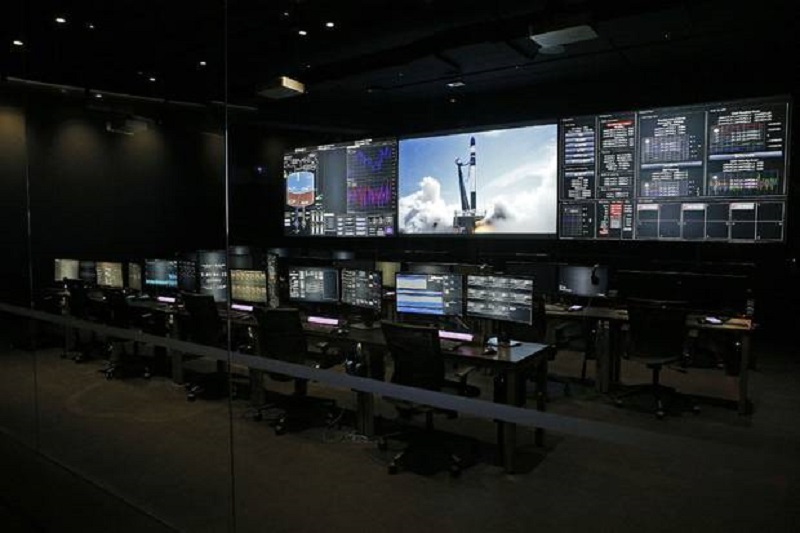 The new building includes a new Mission Control Centre, which will oversee launches from the company’s Mahia Peninsula launch pad, plus its pending new facility in the US. There are 16 flights that are being planned for next year, with the goal of reaching one launch a week by 2020. Moreover, the company is on a hiring spree. The number of staff has nearly doubled to 330 over the past year, with around 200 in New Zealand and the remaining in the US. A combined 180 more will be hired for Auckland and LA over the next 12 months, which is a conservative estimate based on the number of current projects. Hiring has become easier because the roles that they are recruiting now are more typical like supply-chain specialists and sales managers, as opposed to their initial hunt for rocket scientists. The Kiwi-American company plans to grab as much aerospace business as possible over the next four years. Although the target is to launch one flight a week, making the company the highest-frequency-rocket-launching operation on the planet, the company will remain in its small rocket, small satellite niche. They stay with delivering sub-150 kg payloads into low earth orbit as that is where most of the market demands rest. The company’s ambitions are global. Its first launches have been from its custom-built facility at Mahia Peninsula. But its next launch pad will be in the US. The company is already scouting the UK for a third launch pad location, with plans for a fourth in Asia to follow. Different locations allow for satellites to be launched to different orbital inclinations. At the same time, it is also partly a commercial decision. Although the corporate headquarters is in the US, the Mt Wellington factory is a tangible commitment to keeping a big chunk of production in New Zealand. Moreover, Auckland will remain as the centre for most of the company’s research and development (R&D). As more and more launch pads are being planned around the world in years to come, New Zealand will remain as the company’s highest-volume location for launches. New Zealand has relatively light aerospace regulation compared to other parts of the world and has no air or shipping traffic.